This Tutorial is based on my knowledge on configuring a Netgear Dual Band router connected to a Cable Modem. The SSIDs and pass-phrases on the images are fictitious. First Option – How to setup your Netgear router by using a pre-configured setting? 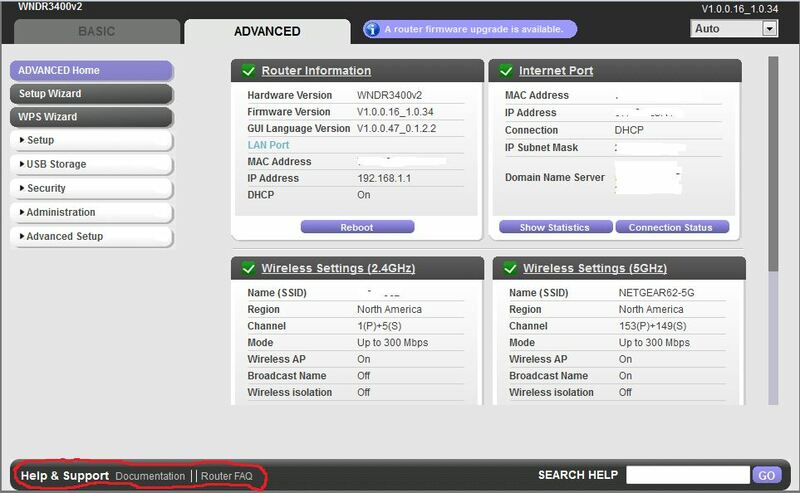 If you’d like a hassle-free guide to setup your Netgear Dual Band Router, you may follow this procedure. To begin, unplug the power cable or turn off your Modem. Connect the ethernet or network cable to the router’s Internet Port. Turn on or plug-in the power cable of the Modem. Connect the power adapter to the router to turn it ON. Connect your computer to the router by using an Ethernet cable plugged in to the router’s LAN Port. Wait for all the lights to be stabilized. Open up your favorite browser (IE, Chrome or Firefox) and type http://routerlogin.net then press enter. It will prompt you to type the default User Name which is admin and the Password is password. You should now see this page and that you have successfully setup your Netgear router. Your router’s configuration is pretty much done. Look at the back of your router and locate a Sticker with the default SSID (your wireless network name) and the pass-phrase. You will need these to connect your wireless devices such as computers, smart phones, printer, gaming console, etc. You may stop now and do not need to proceed but make sure to change the Admin’s default Password right away. See the first part of the next Tutorial on how to change the Admin Password. Second Option – How to setup your Netgear router by using a manual configuration? If you prefer a manual setup, you may proceed to the rest of this Tutorial. It is recommended to change the Admin Password immediately for security purpose. I always prefer to manually setup the router so that I’ll have a preference on how to setup the wireless network. Close the browser then re-open it and type 192.168.1.1, go back to the router’s setting and type default Username is admin, default Password is password. 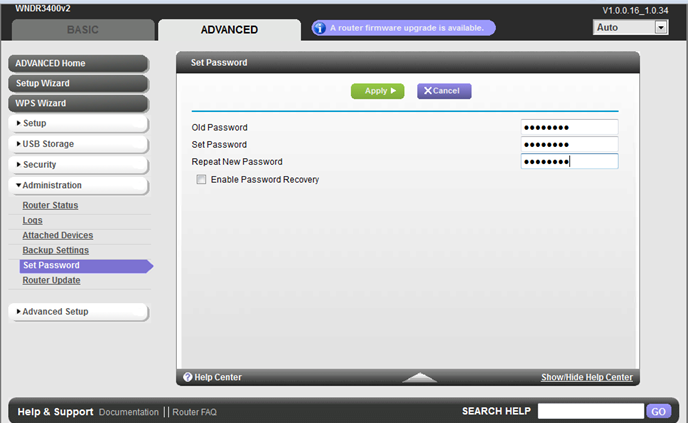 Click on the Basic Tab – from here you may manually configure your router. 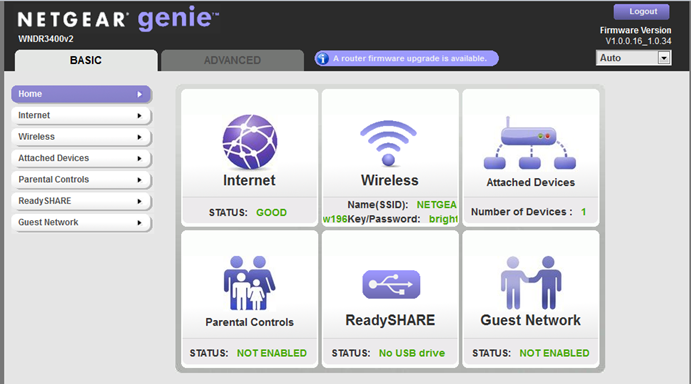 To modify the Internet – to either setup your Internet dynamically or manually assign Static IPs; Wireless – to secure your network; Parental Control – to block unwanted sites and restrict browsing hours; Ready Share Network – if you have USB devices that you need to plug in to the router and shared off from your network and Guest Network – create a separate SSID for your Guests. 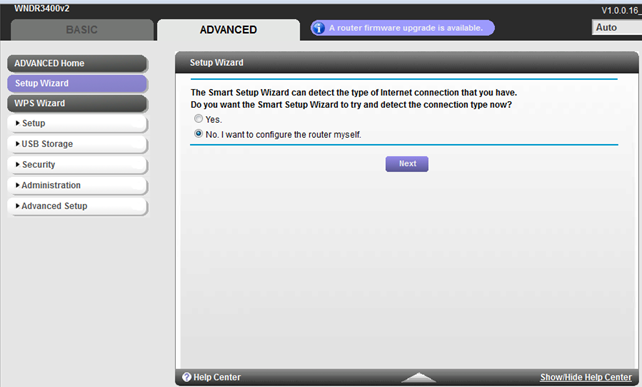 Or….follow the Setup Wizard to setup your wireless network. 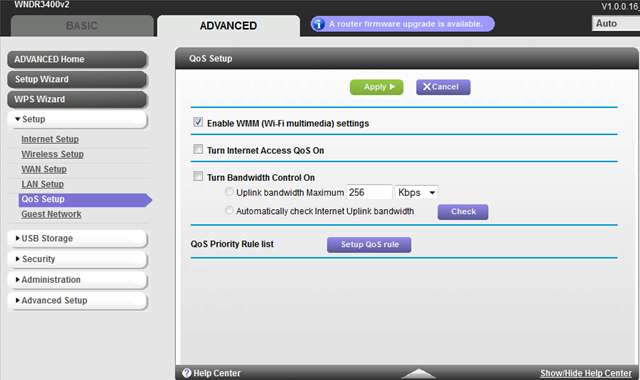 You may select Basic Tab or Setup Wizard to configure your router’s wireless Channel and Mode. In the Basic Tab click on Wireless, in here you may assign the SSID, change the Channel and change the Mode if needed. Ready SHARE – From the Basic Tab then Ready SHARE, You may access your USB external storage device on Windows Operating Systems on Start Orb>type \\readyshare then press enter. From a Mac computer select Go>Connect to Server>type smb://readyshare in the Server Address then click Connect. 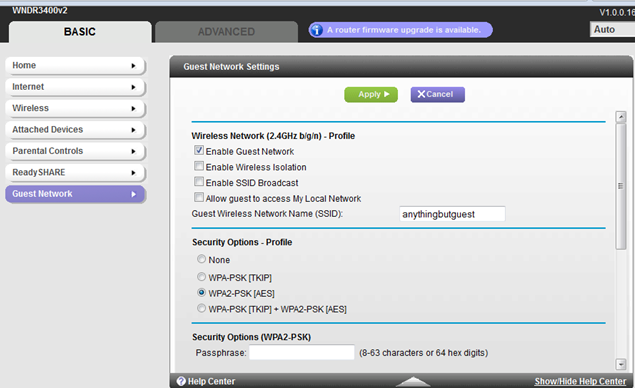 Guest Network – From Basic Tab then Guest Network , you may enable this option to have a separate SSID for your Guests. Wireless Repeating Function is helpful to extend your wireless coverage in your home. Note: The Wireless Repeating function won’t work for WPA2, only up to WPA network security. Save all the Settings when finished adding all other features. To verify all important router settings if they are properly configured including the Wireless Area Network (WAN ) and Local Area Network (LAN) IPs information, click on Advanced Tab then Advanced Home Tab. If you need any technical assistance click on Help and Support Documentation. Other great features of this router can be found in this Article. Optional:You may wish to buy a Dual Band Wi-Fi adapter for a better network performance utilizing both bands (5GHz and 2.4GHz) and to utilize HD video streaming.